Hi everyone! At last....another coloring tutorial. I KNOW a lot of you have been patiently waiting for me to tackle another tutorial. I apologize that it took so long to get it done but I made sure to fill this one with lots of information. So many people have been asking what I mean when I say I colored an image with Copic markers and prismacolor pencils. So today's tutorial is focusing on that. I also used one of my favorite stamping techniques--paper piecing. First...I had to select an image to color. 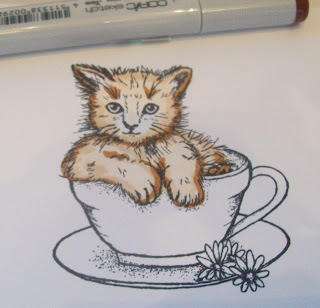 To me..the answer to this was pretty easy as I had several requests to show exactly how I colored these kittens after posting some cards with them. 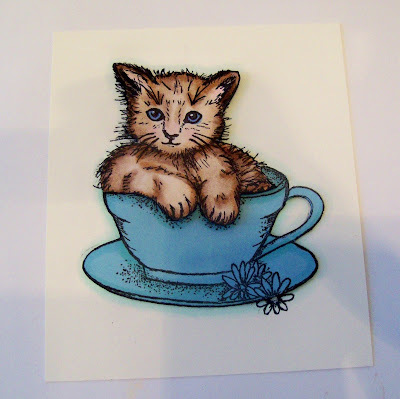 Then, I got my colors together to color the kitten on the white cardstock. The Copic markers I used are: E50 Egg Shell, R20 Blush, E31 Brick Beige, E37 Sepia, B 95 Light Grayish Cobalt. The Prismacolor pencil I used is raw umber. 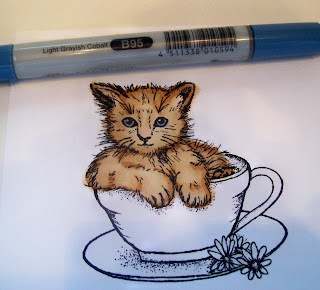 First, I took my Egg Shell marker and colored the kitten. 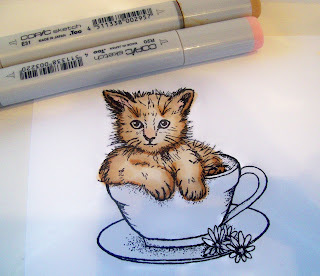 I colored most of the kitten but left a few white spaces around his nose/mouth area. There will be a lot of blending of colors and I just wanted to make sure these areas remain the lightest so I didn't bother to add ink there yet. 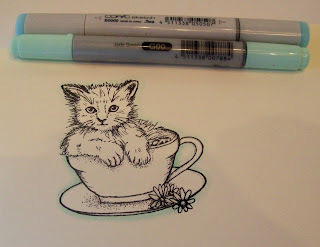 Next, I took my beige marker and added that around the edges of the kitten's face and body. You can see the contrast of the colors because I didn't blend the color yet. 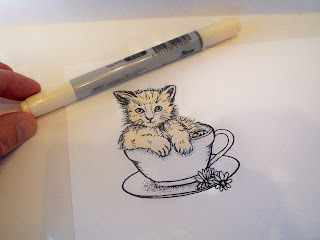 Then, I used my Sepia (I think my "favorite" Copic marker of all) to add some darker, shaded areas. Note: I still didn't blend the colors at all yet. Just adding color at this point. After I put down enough darker brown color, I went back to my beige and blended the Sepia using small circular motion. Do not blend it all across the image. After you blend the Sepia in...then you can go back to the Egg Shell and blend some more. The key to lots of dimension is different shades of the same color. You want the shades you select to be in sharp enough contrast to each other so that when you blend you can create the hues in between. 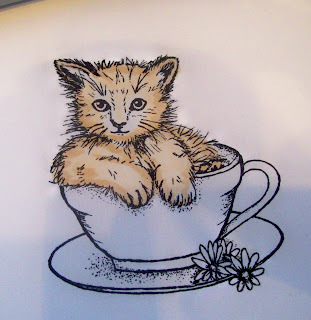 I chose to color the kitten using Egg Shell (as my lightest color); Brick Beige (as the midline color) and Sepia (as the darkest color.) Because they are definitely a few shades away from each other...the colors look strange when you first apply them but after you BLEND...they create wonderful dimension. I always blend using the next lightest colors I used. For example, If I used sepia...I blended it in with the Beige...If I use the Beige...I blend with the Egg Shell. Next, I used some Blush to add some pink to his nose, ears and cheeks. I blended some more using Beige and Egg Shell. (Keep playing and blending until you are happy with the results!) Then, I used Light Grayish Cobalt for his eyes. When I am content with how the copic coloring looks....I can then use my Prismacolor pencils to add more dramatic shading. 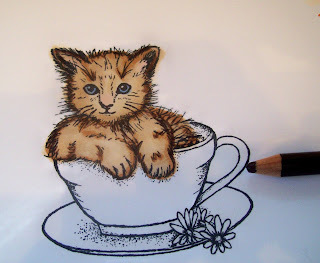 For this example, I am only using my brown pencil to add some more shadows to the kitten. And here is what my assembled kitten looks like. I didn't color the flowers because they will be hidden once I create a card from this. Stop back tomorrow to see how I use this image on a card! HERE it is! 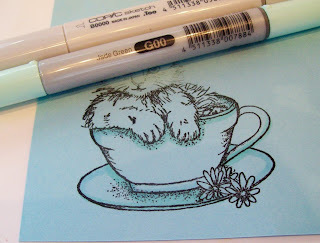 Materials used: stamp image-Purrr-fectly Delightful (Gina K Designs); cardstock-Pure luxury white, ivory, ocean mist (Gina K Designs); Memento tuxedo black ink; Copic markers; Prismacolor pencil. I hope you like this tutorial and if you have any questions feel free to post them or email me and I will get back to you as soon as I am able to. Great tutorial Cammie - thanks so much! I had been wondering about the mix of Copics and Prismas! Cammie, thanks for the great tutorial but I agree with Shelia. It looks easy but mine never turn out to look quite as nice. What a fantastic tutorial! So easy to understand and lots of photos. Thank you so much! Great tutorial, Cammie!!! 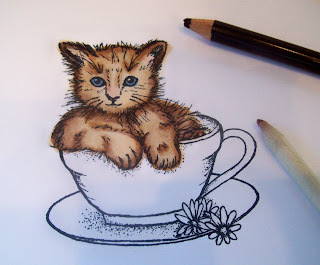 I love the way you colored the kitty. Adding the prismas really looks awesome! What a wonderful post! Thank you so much!!! This will help tremendously! Thank you! I will study this when and if I get those Copics! 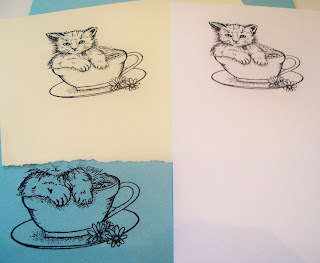 Great job on the card and tutorial - very easy to follow - the pictures are such a help. Thanks for going to all this trouble to help us. You're the best! Great Tutorial Cammie! I never would have thought to combine my Copics and prismas. What a cute image you chose as well! 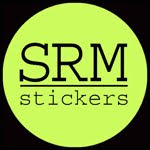 Sue, they are listed next to the name but I just made them bigger so you can see them better!! Hope that helps! So beautifully colored, and so sweet..Cammie!! Thanks for the tute!! 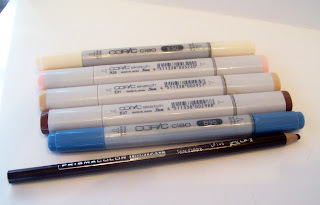 thanks for the great tutorial Cammie, I'd been wondering how ppl used their pencils with the copics! That looks FABULOUS, and I can't wait to try it myself! I don't have any Copics yet...Is your Prismacolor pencil a watercolor or a 'blend with LOMS' pencil? 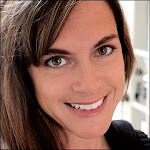 Your card is just gorgeous - I love that image, and you have colored it beautifully! Thanks for the wonderful tutorial! Patti...I blended the prismacolor pencil with odorless mineral spirits. Great tutorial, Cammie. I have to try this one.